If you’re a gamer, you are no stranger to the woes of an ineffective or insufficient HDMI cable. Strained HDMI cables that are being contorted to suit your gaming console needs tend to weaken the cable and can cause video and audio to cut out. An easy way to extend your HDMI connection is to ditch the traditional HDMI cable and opt for wireless HDMI. Why Go to Wireless HDMI? 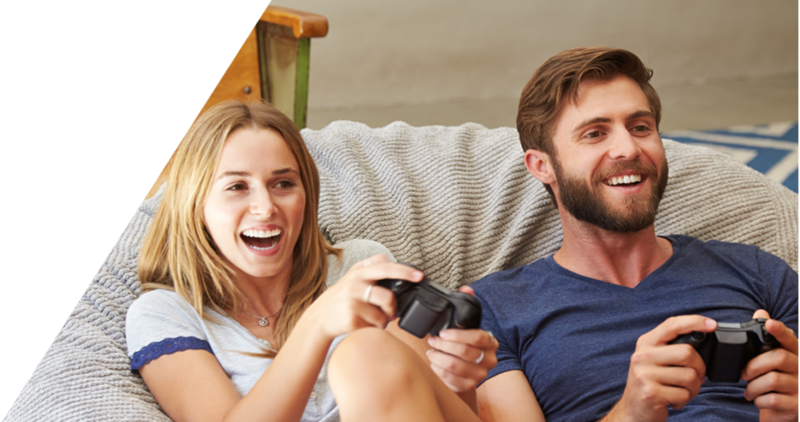 Beyond eliminating the clutter of HDMI cables, choosing a wireless HDMI connection offers several other benefits that maximize your gaming experience. Connection Quality. You can expect the same high-quality HD connection from your wireless HDMI set up that you would get from a traditional HDMI cable connection. Traditional HDMI cables create a cluttered and unsightly appearance. Using wireless HDMI allows you to have an organized and simplified media stand. Set-Up Flexibility. Wireless HDMI offers increased freedom and flexibility about where you put your devices and TV. Rearrange your space however you’d like and set up your TV anywhere, from a media stand to a wall mount, without the limitations of HDMI cables. No Wi-Fi Connection Necessary. Like an HDMI cable, wireless HDMI does not require a Wi-Fi connection, so if your home network cuts out, you will still have access to all your devices. Wireless HDMI requires an HDMI transmitter and receiver. Many are sold as kits, such as the MyWirelessTV2 wireless HDMI kit. The transmitter connects to your gaming console and sends a direct wireless signal to the receiver. The receiver is connected to your TV and receives the signal from the transmitter, up to 150-feet away. The easy set up makes wireless HDMI a no-brainer. You can purchase wireless HDMI kits from most major technology retailers, such as Amazon and Best Buy. What’s the difference between a wireless HDMI transmitter and receiver?